Together with a similar 38cm battery at Hanstholm, Denmark, Vara defended the Skaggerak. A small part between the range of the guns was closed off by minefields. It had its own powersupply and network of small railways. On the westside several tunnelsystems were cut into the rocks. The fire control post was built on the island of Flekkerøya which lies some kilometers south of the battery. This was a bunker similar to a S 100. It's still there but closed by the military. 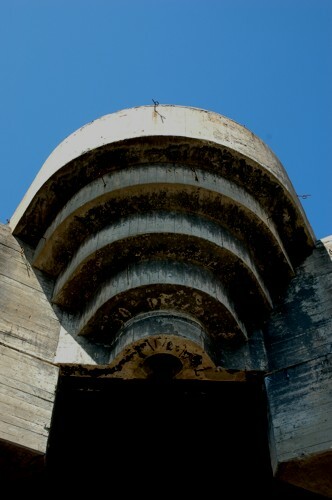 Most of bunkers in the battery perimeter are closed too. The museum is ofcourse very interesting, not only because of the gun, but also because of the original interior. After the war, the Norwegian army used the battery and left everything intact. The gun is still in working condition and every wednesday in the summer they rotate the gun and lift the barrel. Main and secondary firecontrols were placed on the Island Mebø, which lies more south. That part was visited in 2013.